Ararat Rural City Council will support planning for approval to continue work on the Western Highway duplication between Buangor and Ararat. 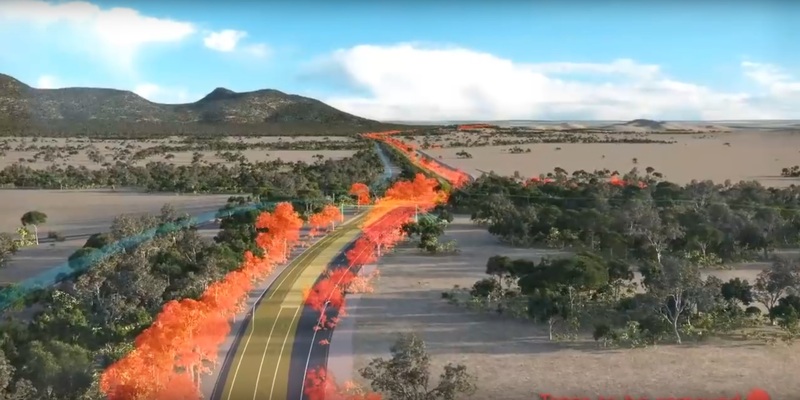 VicRoads has requested that the Minister of Planning approve the construction of the Buangor to Ararat section of the Western Highway Duplication project, with Ararat Rural City asked to provide its view on Amendment C37. The improved transport connectivity between regional centres and access to schools, health facilities and economic markets. The safety benefits of the duplication and improved management of local and freight traffic. Implementation of environmental mitigation measures to reduce the footprint of the highway, environmental crossings and revegetation and rehabilitation of roadside vegetation. Continued community engagement and consultation on the environmental and construction impact of the project. That the Minister takes responsibility for administration and enforcement of the incorporated document. Ararat Rural City Council Mayor, Cr Paul Hooper said VicRoads gained planning approval for the Western Highway Duplication for the Beaufort to Buangor Section in 2013. “However it was discovered that this planning approval had expired earlier this year and all works have ceased on the project since this date,” he said. “To enable the project to proceed VicRoads need the approval of a new Incorporated Document through Amendment C37 to the Ararat Planning Scheme, which they have lodged with the Minister for Planning. “Part of this process is for the Ararat Rural City Council to provide feedback and the general consensus is that continuing the duplication through to Ararat is a must. “There has been significant community interest in this project given the safety and transport connectivity benefits the project will bring, but also the significant environmental impact the project has had particularly on the large old red gums that have been removed in previous sections. “Ararat Rural City has previously supported the Western Highway Duplication and the planning approval process followed, however it has also acknowledged the importance of environmental impact, community consultation and responsibility for compliance and these issues should be addressed by the Minster for Planning.